(New York, NY, October 24, 2016) – The nomination of Tom Lane, owner and dealer principal at Dwayne Lane’s Chrysler Dodge Jeep Ram in Everett, Washington, for the 2017 TIME Dealer of the Year award was announced today by TIME. Tom is one of a select group of 49 dealer nominees from across the country who will be honored at the 100th annual National Automobile Dealers Association (NADA) Convention & Exposition in New Orleans, Louisiana, on January 27, 2017. The announcement of this year’s nominees was made by Meredith Long, SVP : GM, News & Luxury, TIME, and Tim Russi, president of Auto Finance for Ally Financial. In its sixth year as exclusive sponsor, Ally will recognize dealer nominees and their community efforts by contributing $1,000 to each nominee’s 501(c)3 charity of choice. Nominees will also be recognized on AllyDealerHeroes.com, which highlights the philanthropic contributions and achievements of TIME Dealer of the Year nominees. The TIME Dealer of the Year award is one of the automobile industry’s most prestigious and highly coveted honors. Recipients are among the nation’s most successful auto dealers who also demonstrate a long-standing commitment to community service. 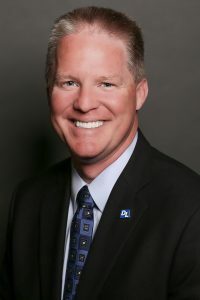 Tom, 47, was chosen to represent the Washington State Auto Dealers Association in the national competition – one of only 49 auto dealers from 16,000 nationwide – nominated for the 48th annual award. The award is sponsored by TIME in association with Ally Financial, and in cooperation with NADA. A panel of faculty members from the Tauber Institute for Global Operations at the University of Michigan will select one finalist from each of the four NADA regions and one national Dealer of the Year. “I’ve had the good fortune of working side-by-side with my father for more than two decades, learning, firsthand, the importance of balancing the ups and downs of the retail automotive business with the privilege of raising a family of my own,” nominee Tom said. Tom graduated from Everett High School in Everett in 1988 and earned B.A. in business administration from Western Washington University in Bellingham in 1992. He has worked at the family dealership since the age of 12, first washing cars and then taking on part-time responsibilities during high school and college. His father, Dwayne, who passed away in March of 2016, also worked his way through the ranks of a dealership – Walsh Platt Motors – before buying the store in 1972 and founding Dwayne Lane’s Auto Family. By the age of 24, Tom was general manager of Dwayne Lane’s Arlington Chevrolet in Arlington, Washington, and became dealer principal at age 27. He was named president and CEO of Dwayne Lane’s Auto Family upon his father’s retirement in 1998. “My father taught me that being the leader of our business organization means taking care of your work team and customers as if they were family, appreciating and respecting each and every one,” he said. Today, Tom oversees six Washington dealerships in Everett, Arlington, Sedro-Woolley and Burlington, representing a diverse portfolio of car brands. A member of the Rotary Club of Everett since 1994, Tom has lent his time and leadership to the Boys & Girls Clubs of Snohomish County; Everett Family YMCA and Everett Public Schools Fiscal Advisory Council. He is currently on the Coastal Community Bank board of directors; and the Economic Alliance Snohomish County board of trustees. He has also coaches youth soccer, basketball and lacrosse. According to Tom, his most meaningful award was from the Everett Area Chamber of Commerce, which named him Small Business Executive of the Year in 2006. “This honor is meaningful because it highlights the effort of our fantastic team and the success they have in this challenging and rewarding industry,” he said. Tom was nominated for the TIME Dealer of the Year award by Vicki Giles Fabré, executive vice president of the Washington State Auto Dealers Association. He and his wife, Kjersti, have five children.